— Ceramic artist Jennifer McCurdy has been coming to the Vineyard her entire life, and moved here year- round 20 years ago. See her work at jennifermccurdy.com. I’d start the day with an early morning bike ride, from Vineyard Haven to Aquinnah. If you leave at 5 a.m., you will have the road to yourself. Take Middle Road in West Tisbury, so you will feel the frost bottom changes in temperature up and down the hills. 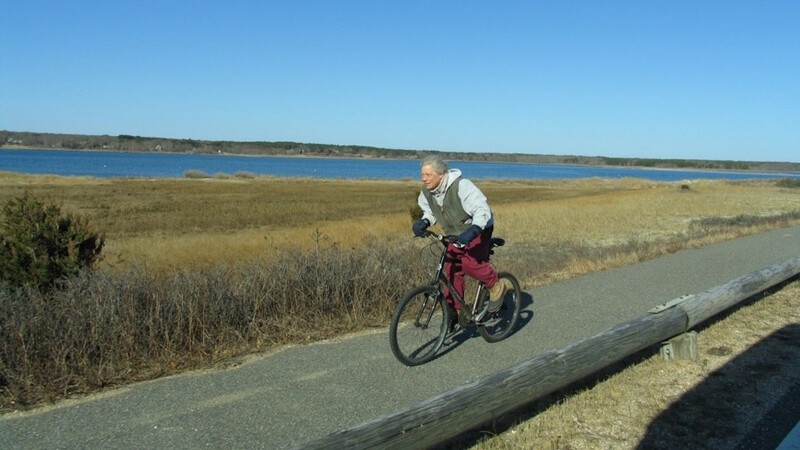 Go around the Aquinnah loop and take a right on Moshup’s Trail for spectacular views on the return. At Beetlebung Corner in Chilmark turn left to Menemsha so you can take North Road back. Then you will want to stop at the Scottish Bakehouse on State Road for a delicious reviving muffin. So, you get back to Vineyard Haven before the first tour bus even thinks about heading out.